subject at Veer Nurmad South Gujarat University, Surat and received M.Phil degree. She was guided by Dr. Devbhadra Shah of Mathamatics department at Veer Nurmad South Gujarat University, Surat. She praises her village and community. May Allah S.W.T. give her success in future ventures. On 10-02-2018, a get-togather of VIP guests from foreign, well wishers of society and donors was held at A.Y.Dadabhai Technical Institute, Kosamba at 11:00 AM. Total 40 guests from society and managing committee was present. All guests had took visit of different department of college, laboratories, workshops and had praise the work of the institute. Then after all were present at seminar hall for meeting. Starting of meeting was done by reciting the verses of Quran by one of the student of college Mulla Yunus Iqbal. Then after, all the guests introduce themselves and lecturer of institute Mr. Shakir Dinath, had welcomed all the guests with flowers. After that the director of Institute M.M.Dalchawal had present the Annual Report of the college. Also he has given information regarding academic and activities performed in the institute, skill development center, result, admission etc. Then after assistant secretary of our society Mr. Yusufbhai Motala had discussed about different activities performing in society. In addition to this, he informed about the remaining construction and amount of A.Y.Dadabhai Technical Institute, Kosamba. All the V.I.P. guests had praise the work and activities performing in A.Y.D. and had also expressed their views which are as follows. Donation of society obtain from canada, England, America etc. still trying to get donation from other countries. Should organise awareness workshop in our society schools. Should run a training program to encourage people about enetrprenuer. To establish a workshop which will work for near by industries. Planning about "how vohra students should take more benefits?". Girls should be encourage for higher studies. At the end, secretary of society Mr. M.M.Bhana Patel has given vote of thanks and invite all guests for lunch. 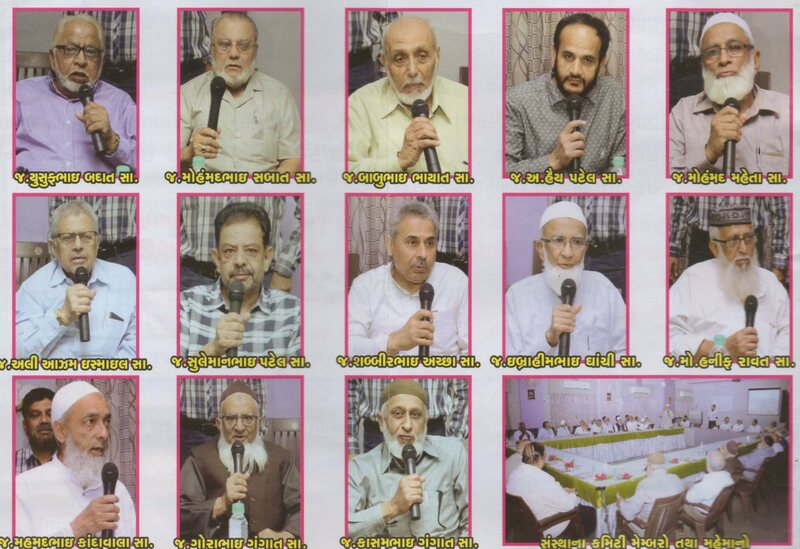 The Suratee Sunni Vohra Muslim Education Society, Surat. In the first year 1947-48, the society has distributed INR 5,030 as scholarship for education which reached to INR 1,21,30,941/- in 2016-17 in various areas. From 1947 to 2017, in the duration of 70 years, the society has done continues progress, initially starting with providing monetary help to the poor and needy students in the form of education scholarship, now days the society is trying it’s best for the various activities and charities under various heads. In 2016-17 year, society has spent INR 1,70,000/- for Diniyat (Religious) education. Bewa Fund: Society has also start activities to uplift social growth in community. To help the windows of community, society has established ‘Widows Fund’ (Bewa Fund), for this fund we got the inspiration and help from HAJI AHMED BILAKHADI (LAHER) staying at South Africa. The first widow fund was established in 1978-79 with amount of INR 24,000/- which is increased to INR 25,79,350/- in 2016-17 towards 777 widows.